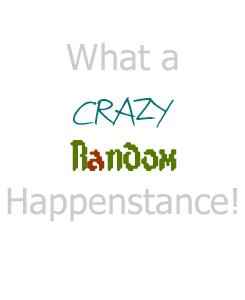 80s Girl : What a Crazy, Random Happenstance! Today as I was driving around town with my girls I was listening the radio. I have it on a station that is “80s. 90s, Now” and it brought back so many fond memories as I was listening to 80s at Noon. I am a child of the 80s. Most people would probably say that I am a child of the 90′s since that’s when I had my “formative” years. I was born in ’81, I like to think it was a pretty good year. Yes, Regan entered office that year but let’s see what else… Sandra Day O’Conner became the first woman on the supreme court, Pope John Paul II was shot not only once but TWICE and still lived for what seemed forever, MTV was born (Happy 30th! ), Luke and Laura got married, one of my favorite Blondie songs “The Tide is High” was popular and the first DeLorean rolled off the production line. That said, I have found memories of the 80′s. I was cool in the 80s, back before I was a nerd or a geek (or according to my brother, a dork), I was somewhat popular. It helped that my parents owned the skating rink for the majority of my first decade on earth. And when I was younger, it was the place to be. I grew up surrounded by all sorts of people, I knew all the newest music and all the latest styles. 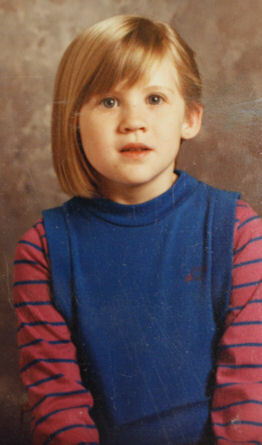 My aunt liked to help me with my fashion as well, the week before Kindergarten she cut my hair. Which wouldn’t have been so bad but she cut it with one side really short and the other long. My mom lost it but even after she had it “fixed” my hair was two different lengths instead of super short. I still remember all the kids in my class thinking it was so cool. It was something we talked about every so often, even into high school. After my hair grew out, it was all about the side pony. I loved my side pony. I also had the super baggy shirts with clips over what was usually bright colored leggings. I had my converse (okay, my faux converse. Mom didn’t buy me the real ones until my feet stopped growing) with at least two, if not three or four pairs, of socks layered and rolled down. For a brief moment I was cool and even dare I say popular. Then I gained some weight, hit puberty a little early than some of my friends and become awkward. I put my energy into music, acting and school work. Life became less about what to do and what to wear. I still missed being “that” girl, the one who wore and did what she wanted without care, and everyone thought it was awesome, but that girl would never had been happy with this life. I know how you feel. I think all the time what I would have done differently and how I should have had more fun. But the fact of the matter is that I had the chance and I didn’t take it. And I probably wouldn’t take it again. It’s just who we are. In the end, the choices you have made are probably the better ones. Who needs fabulous clothes when you have a fabulous family?